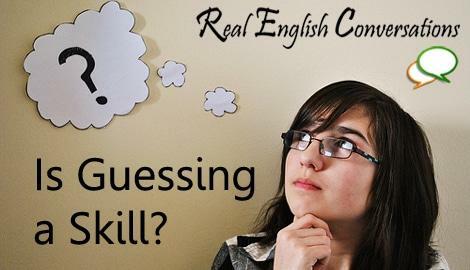 Is Guessing a Skill when you are Learning English? Is Guessing a Skill When Learning English?? 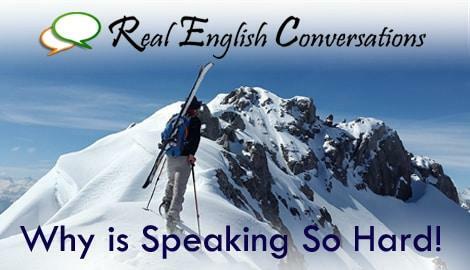 Perhaps that is why you feel uncomfortable ‘guessing’ what things mean when you hear them in English or you feel afraid to say a word that seems right even though you have never heard it before. This is a natural part of learning English and having to take those chances trying to use English with real people. I like to think that being good at guessing can help you to learn English faster in certain areas. 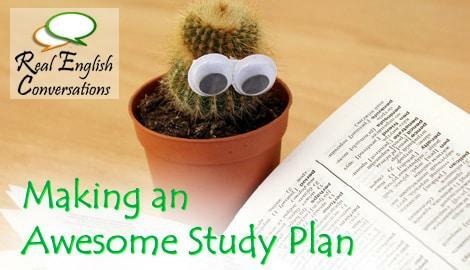 The key to fast learning and making progress with languages is to study things and do activities that are challenging. Nothing too difficult, but challenging, with the goal of trying to learn something new in the process. The ‘problem’ is that challenging activities can be difficult to understand perfectly… and you might not have a teacher around to ask questions to. In these cases, you have to guess. Here is the question: Are you ‘learning’ English PROPERLY even if you don’t understand everything PERFECTLY? The big difference between learning English in the classroom versus learning English by yourself is that you are often without the guidance of a teacher. Both have advantages and disadvantages. There is a normal period between the beginner and advanced level where you don’t understand everything. Especially when you start working on intermediate lessons when you are ready to progress from the beginner level. In that period of time… you feel like you don’t understand very much of anything. For someone that has come from a classroom learning environment, ‘guessing’ what something means can feel like you are cheating or like you are not learning something fully. Making predictions about a meaning when you are studying a language is an essential skill to advancing. More importantly, it is developing the ability to be comfortable with ‘not knowing’ if it is 100% correct. What makes languages interesting is that they are understood even though the language doesn’t always follow the rules. Native speakers have learned grammar rule exceptions, expressions, and everyday colloquial communication by simply guessing the meaning from context and accepting their meaning. You can do the same thing too. If Google Translate is your #1 translation tool…. pay attention, you need help! 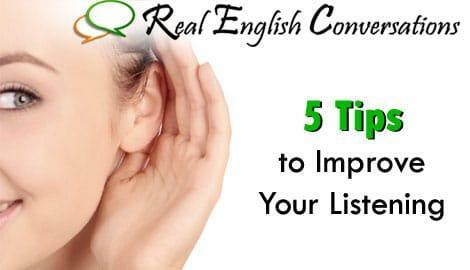 You need to learn how to use other translator tools that are much more accurate and most importantly, start trusting your own knowledge of English. The accuracy of google translate is horrible. I mean, it is useful in some cases but it truly is my last resort for trying to figure out what something means. Is it a single word? Do you think it’s an expression? Is it a weird grammar thing you’ve never seen before? Depending on the answer, you need different translator tools (which is a completely different topic…) To get a list of my favorite translators and tools to use for Learning English click here. Use and apply the knowledge you already have about English. Don’t doubt it, it is likely correct! Look up individual words you don’t know for their meaning. If there are a series of words together that don’t make sense, check if it is a phrase by using a translator like using context.reverso.net. If you still don’t understand the sentence or one part is hard to figure out… then use google translate. After YEARS of studying Spanish (14 years to be exact…) I was only at a beginner level, maybe pre-intermediate. I was tired of being a beginner and I decided to figure out what I needed to do in order to reach the next level. Desperate to understand something and quickly respond, I used Google Translate. During those first conversations, I was often guessing what the person was saying to me based on a very bad translation. At the end of each conversation, I would look at the sentences they typed to me in the text chat and try to analyze the meaning of each sentence. I quickly learned how to see ‘phrases’ like: however, meanwhile, for the most part, etc. I also realized almost all the vocabulary that I knew was completely useless in everyday communication. So, I added all the new words, phrases and verbs to a list to study for later. 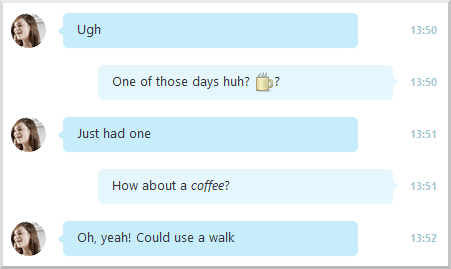 Within about 2 months, my language skills went from a useless beginner to conversational intermediate student. I could understand more in conversations because I had learned the right words and I became really good at guessing the meaning of something based on the words I could understand. I continued to study real conversations from a website I found and I continued to see progress! This is where the idea for Real English Conversations came from. I realized that English students did not have a good resource to study everyday American English conversations. There were lots of scripted conversations, but there was nothing natural and enjoyable to listen to. Now I’m showing you the tips and tricks I learned while teaching myself another language so you can improve your skills faster. Don’t loose sight of the real reason you are learning a language. It is to be able to communicate with people. Real people. People do not always speak properly and you will continue to hear new words and phrases every day. Guessing will become a skill you need to use and be comfortable with. Guess when you need to. It’s okay if you aren’t correct. You are still learning! Do you consider guessing a skill? Leave me a comment if you prefer to know things PERFECTLY or if you are okay with understanding the general idea.